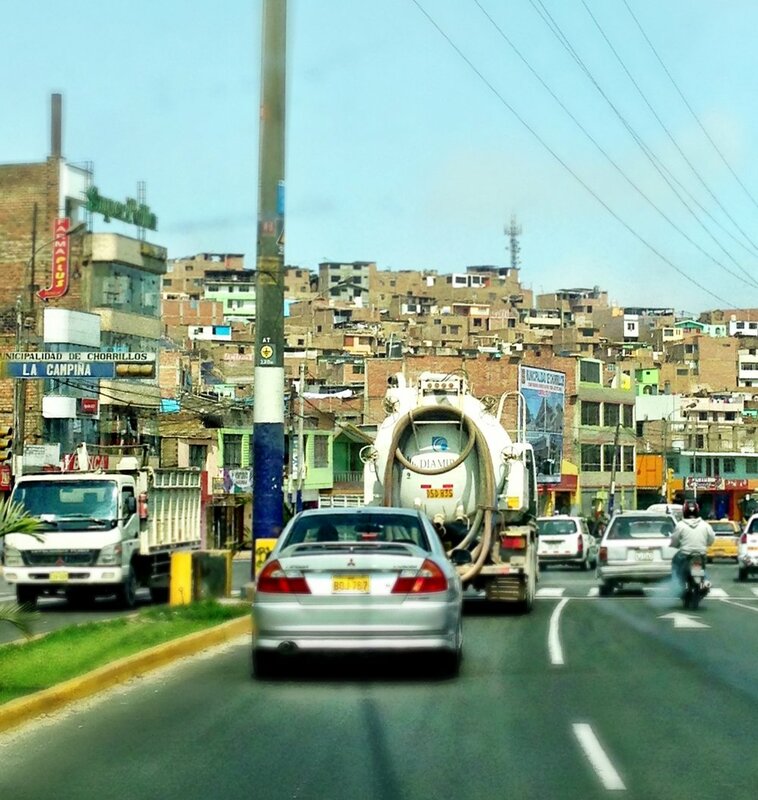 My last day in Peru took me to visit an area of Lima that is quickly developing as the urban sprawl expands, Chorillos. It is home to Peru's future entrepreneurs, educators, doctors and much more, including Krochet Kids. Chorillos was an area in Peru where many squatters settled during the reign of terrorism in Peru during the 80's and 90's. Today, there are areas of the region that are now recognized by the government because permanent buidlings have been built and it has become much more developed and established. There are also areas there that are still unrecognized though because there are still squatter communities that are not developed enough to be considered 'recognized' by the government. Krochet Kids is one of the bright spots in the developing area of Chorillos. It's an organization that was started in Gulu, Uganda as a way to train vulnerable women in skills that could help them get out and stay out of poverty, as well as meet their emotional, spiritual, physical and material needs. When Krochet Kids got a contract with Nordstrom's they knew they needed to expand their workforce. Because Lima not only has a large population of women living in extreme poverty, Lima is also a great location for exporting goods and Peru is known for its background in textiles. So Lima was the perfect location for their second factory. In Lima, Krochet Kids works with women who live in the squatter communities. Krochet Kids was launched in Lima 2 years ago. Women work there for 3-5 years and upon leaving either start their own business or seek a job as a well-trained textile worker. While at KK, women not only learn job skills, but they also get to be part of weekly large group training, as well as one-on-one mentoring. Lima is on track for becoming a powerhouse in South America. It is not only the culinary Capitol of the Americas, but also has tons of natural resources (like gold, oil, silver, and cotton) as well as 90 micro climates (making it one of the most biodiverse countries in the world), and more varieties of potatoes and corn than you can even imagine! Though Peru is still considered a less developed country, the next couple of decades will see an incredible amount of development for everyone living here. It's an amazing time to be partnering with people in Peru to continue to bring the Kingdom of heaven here!